I have a deeply held belief that food is the best medicine. While I take and recommend specific supplements, vitamins and botanicals for specific health concerns, I always look first to things that are delicious – things that support my body and spirit. 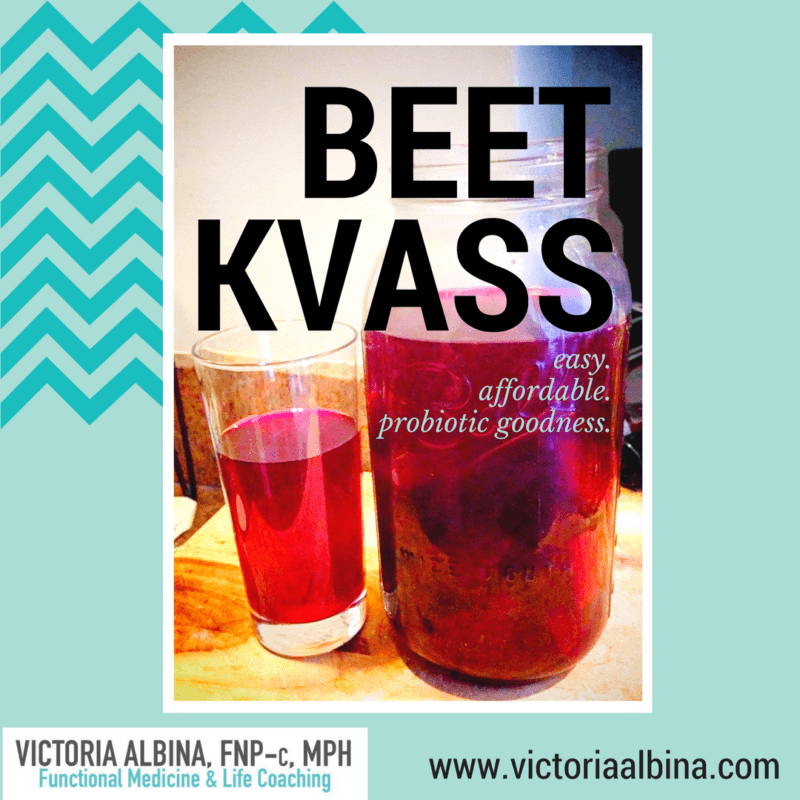 Beet Kvass hits the mark easily – it is rich in vitamins and probiotics, and its hot pink color makes it fun to drink. It’s salty and earthy and I crave it the days I don’t have it. What is Kvass and Why Should I Bother? Kvass is a traditional drink in eastern Europe, traditionally made from fermented stale bread. This version uses beets, and some digestion-supporting, delicious ginger. I have also added cardamon, turmeric, rosemary and other spices and herbs – it’s fun to play! Probiotics, such as those found in kvass, have long been used in traditional medicine to support digestion, liver health, and as part of a treatment plan for gut dysbiosis (bacterial imbalance), leaky gut and resultant allergies, fatigue, IBS, acne, eczema, and on and on. 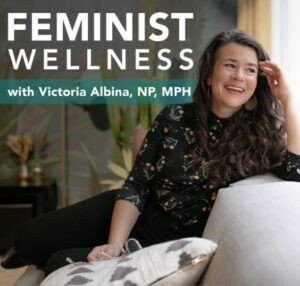 The human body contains over 10 times more microbial cells than human cells (1) and in healthy people the microbiota provide a wide range of functions that humans lack. help reduce anxiety and depression (5, 6, 11). 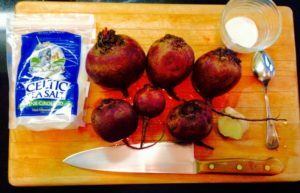 Athletes will love beet kvass as an alternative to chemical-filled electrolyte-replacement drinks (that start with the letter G). 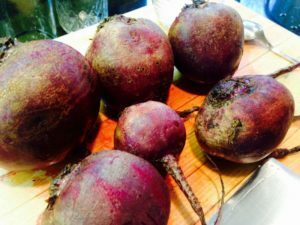 Beets up your nitric oxide, and that’s great for other all health and wellness. Kvass is a wonderful blood tonic, and I have a nice glass twice a day most days. I also love putting it in my smoothies – adds a nice pink color and makes it more likely that I’ll remember to take it. Efficiency! 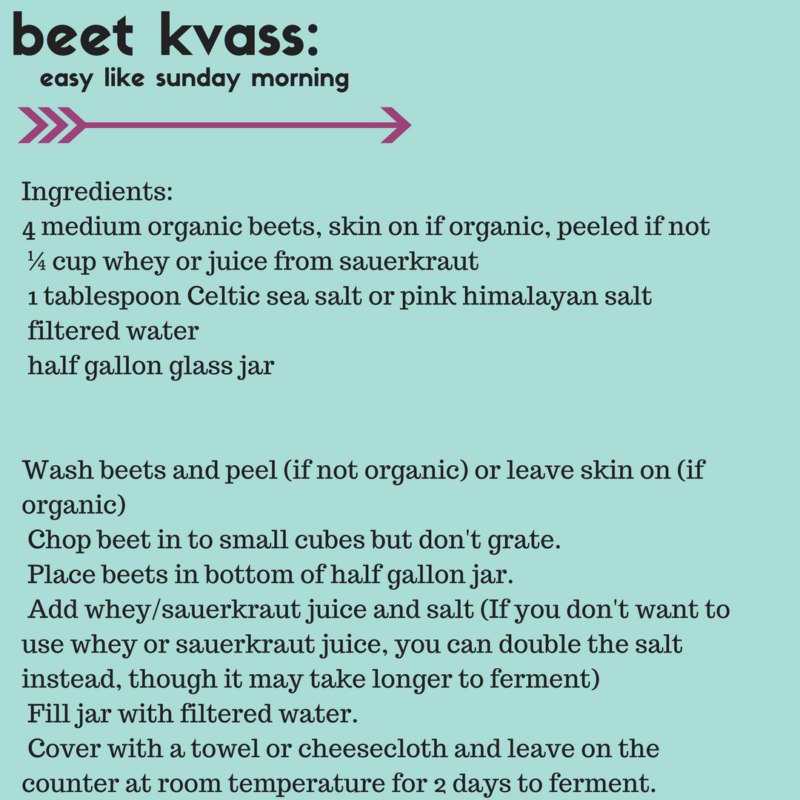 I love Beet Kvass as it’s affordable, quick to make and so great for overall health and wellness. I alternate kvass, sauerkraut (see my recipe here), and other deliciousness like fermented dill carrots and homemade pickles, doing my best to get something probiotic in my diet daily (and taking probiotic capsules those days that I just don’t manage. Because I’m human. And that’s just fine.) I alternate my probiotic sources like I work to alternate the rest of my foods, to reduce the risk of food sensitivities. And it keeps life interesting! Traditionally, lactofermentation involves the use of whey, dripped from yogurt most frequently, which is different from whey protein powder. I usually skip this, as dairy and I aren’t great friends. Instead, I use the juice from another fermented food, such as some sauerkraut juice. Don’t have any? 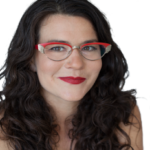 You can easily just use sea salt, though it may take a day or two longer to get good and fermented.